This post continues a review of James B. (JB) Torrance's book, "Worship, Community and the Triune God of Grace." For additional posts in the series, click a number: 1, 3, 4, 5, 6, 7. There is only one Mediator between God and humanity. There is only one offering which is truly acceptable to God, and it is not ours. It is the offering by which [Jesus] has sanctified for all time those who come to God by him (Heb 2:11; 10:10, 14). There is only one who can lead us into the presence of the Father by his sacrifice on the cross. Trinitarian worship is thus Christ-centered, emphasizing the person of Jesus Christ as "the real agent of worship....the High Priest who, by his one offering of himself for us on the cross, now leads us into...the holy presence of the Father, in holy communion" (p. 23). In contrast, "unitarian worship" is human-centered---a "do-it-yourself-with-the-help-of-the-minister" form of worship that we do before God. It wrongly assumes that the only priesthood needed is our own (p. 20). One of the sad results is a de-emphasis (even marginalization) of the sacraments, which in Trinitarian worship are "the supreme expression of all worship." 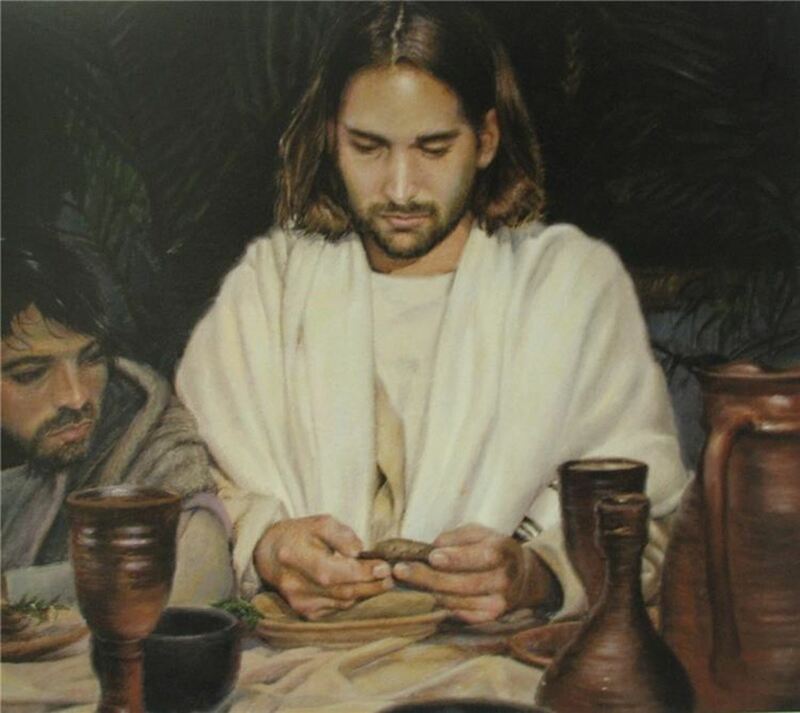 JB points out that in the sacrament of Communion (also called the Lord's Table and the Eucharist), the risen and ascended Lord "meets us...in the power of the Spirit, to bring his passion to our remembrance and to draw us to himself that we may share his communion with the Father and his intercessions for the world" (p. 23). Sadly, this reality does not find a central place in unitarian worship. Over the last 20 years, my own tribe (Grace Communion International) has followed the Spirit in transitioning from a legally-shaped, moralistic, unitarian worship, to a Trinitarian worship that is both grace-based and gospel-shaped. As we've traveled this path, I've seen our appreciation for and emphasis on the sacraments (communion in particular) grow. I look forward to greater growth, and commend to my brothers and sisters in GCI (and all tribes) JB's book as a guide. Trinitarian worship: it's about relationship! Incarnational, Trinitarian worship is about relationship---first and foremost between the Son and the Father, in the Spirit; and then between the triune God and ourselves: with the Father, in the Spirit, by and through Christ (our Mediator and High Priest). This relating between God and humanity is a "double movement of grace: God-humanward and human-Godward"---a movement that in both its aspects is grounded entirely in the relational, "perichoretic being of God." (pp. 32-33). 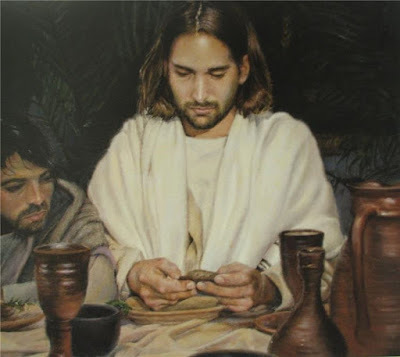 As JB notes, incarnational, Trinitarian worship is "a gift of grace [by which] the Father has given us the Son and the Spirit to draw us into a life of shared communion---of participating through the Spirit in the Son's communion with the Father---that we might be drawn in love into the very trinitarian life of God himself" (p. 36). 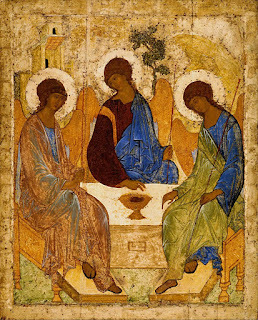 [Let us] return to "the forgotten Trinity"---to an understanding of the Holy Spirit, who delivers us from a narcissistic preoccupation with the self to find our true being in loving communion with God and one another---to hear God's call to us, in our day, to participate through the Spirit in Christ's communion with the Father and his mission from the Father to the world---to create in our day a new humanity of persons who find true fulfillment in other-centered communion and service in the kingdom of God... (p. 41). Readers of this blog may be familiar with Karl Rahners statement (in his book The Trinity), that "Christians are, in their practical life, almost mere 'monotheists.' We must be willing to admit that, should the doctrine of the Trinity have to be dropped as false, the major part of religious literature could well remain virtually unchanged." For audio recordings of some of JB's lectures, click here. For a related essay from JB, click here. Hi Ted. This is the first time I have read your blog. I like your statement: "my own tribe (Grace Communion International)." I much prefer the description of GCI as tribe over GCI as denomination. It has a much more intimate sound. I also thoroughly enjoyed the entire posting.